How could it be for anything else? As the Blogging A to Z Challenge train chugs on we have come to F. At first I wasn’t sure what to write about. Fruit…yes, fruit would be good. Me…Well, Fran, yes, but who wants to hear about me. You hear about me All The Time. So Family it is. You heard about my sister, Ele yesterday. I’m glad that so many of you enjoyed that post. I enjoyed writing it. 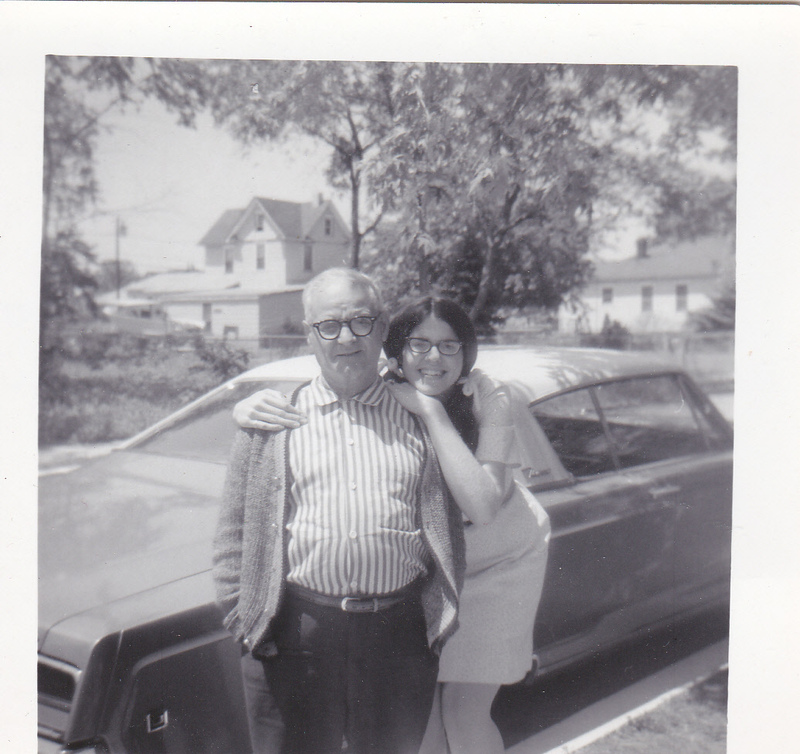 I’m writing this post by way of photos I’ve recently found and by the fact that my wonderful Ralph bought me a new printer/scanner that allows me to share them with you. As I go through boxes, sorting and packing for our move to New Mexico, I keep finding wonderful things. I love this photo! It looks like it should be out of a 1930’s movie. 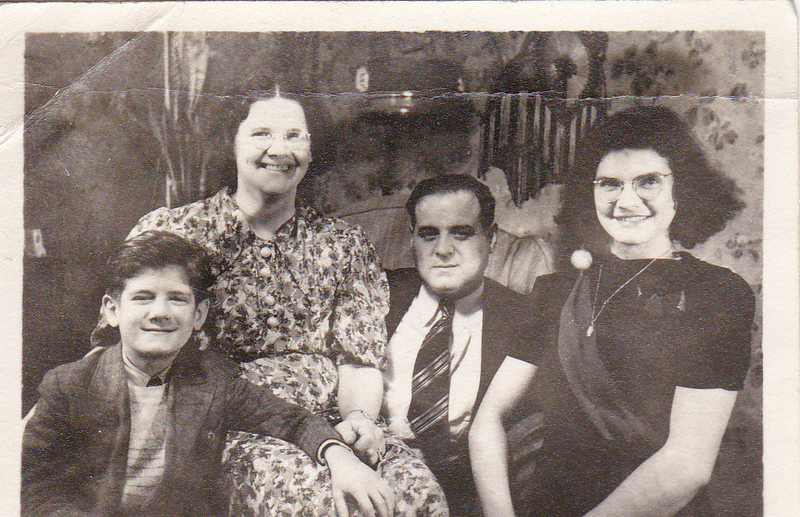 Left to right, my Uncle Joe, Gram, Pop and my Mom. Pop looks so serious but that was not him at all when I knew him. My Uncle went into the Air Force and served in the Korean War. He stayed in the service for many years, traveled around and settled in California. We didn’t see him or his family very often, unfortunately. He’s gone now as is his wife, our beautiful Aunt Bette. But through the magic of Facebook, Ele and I have been able to reunite with our cousins Kim and Lisa who both life in Northern California where Uncle Joe settled the family after retiring from the Air Force. It’s so great to feel that connection with them. This one is oddly shaped because it used to live in one of those multi photo frames which has since disintegrated. You know everyone by now. 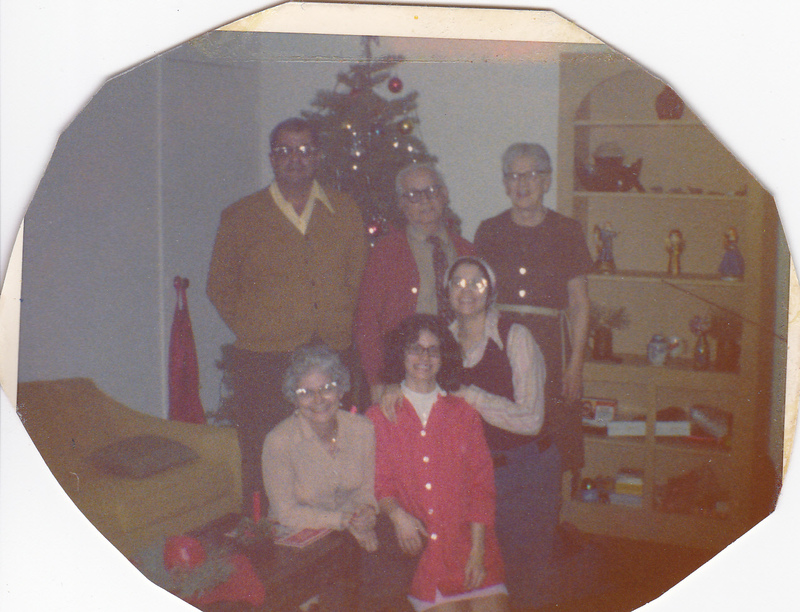 The back of the photo puts this as Christmas 1973 at Ele’s apartment at the time. I was into head scarfs and Ele into smocks. Wish it were clearer, but we all look happy and that’s why I like it. This last photos is one of my favorites. This is Pop and Me in front of the house where I live now. Pop was only five feet tall. I would always tease him by coming up behind him and resting my chin on the top of his head. He would good-naturedly swat me away and laugh and then hug me. He was a great guy and will always be one of my favorite people. I miss him a lot. In the background, those of you who read BCDC on a regular basis might recognize the houses from my many sunset pictures. The neighborhood hasn’t changed that much. Go hug your Family! Happy Family Day! “G”…I wonder what tomorrow will hold?? we lived a charmed life as children. I wish all families were as ours was when we were young. Maybe, that wonderful childhood has allowed us to survive what life has brought to us. That’s, Fran, you are simply the best! Thank you, Thank you. I’m lucky to have You! What wonderful photographs. Thank you for sharing them. Oh, well, now I am so disappointed about the swimming costume one. Lovely post. I have some scary ones I could show you!! oh, i am envious that you can now scan. i have to take a photo of my photos (tomorrow will have some family photos) and it’s hard to avoid glare and blurry-ness! in all your photos, here, i am loving the glasses! love the styles! thanks for sharing about each photo – it’s so interesting to learn about people’s families! Thanks, Cathy, I think it is too. Glad you’re enjoying them! Totally won’t scare me away, I love old photos! The fashions (or lack thereof), the memories, the happy faces. And that last picture of you and your dad is too sweet! Glad you like them, Allie. Actually, that’s my grandfather. He was so cute! These photos are lovely, so cool that you can get them all scanned in now. I think your dad looks like he’s hiding a smile in that top picture and your Uncle Joe looks a lot of fun too. Actually that’s my grandfather. We called him Pop. So glad everyone is enjoying these as much as I am! Oh my goodness, I would spend hours going through old pictures at my grandma’s house. In fact, she actually gave me a couple already. I love the history, the stories, the traditions and the warmth of those pictures. Thank you for sharing yours! I love it too and we’ve got So many!! Yes! 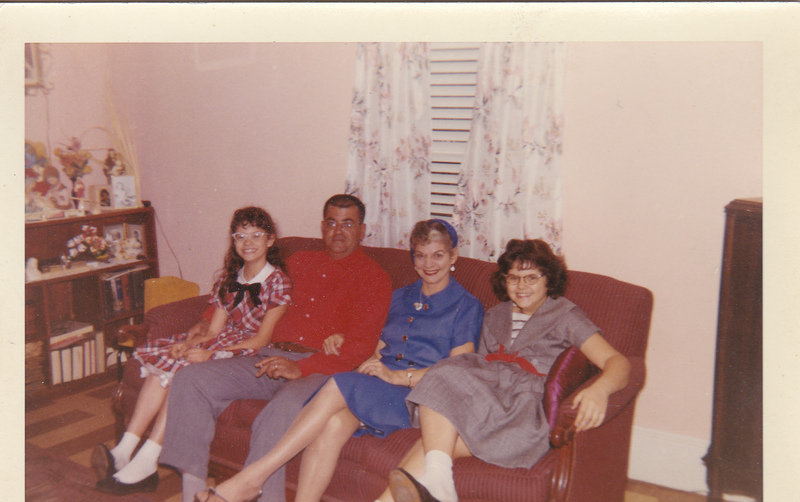 More old family photos!! Ok! I’ll see what I can do, Val!